The new Pope may not be any different than the old pope, or the pope before that one. But if you want to consider the signs, there are some fascinating and promising potentials here. Two things of note, both firsts. He’s a Jesuit. Jesuits are known for three things: founding universities, evangelizing non-Chrisitians, and fighting with corrupt authorities that need to be reformed (specifically, with Rome). There has never been a Jesuit Pope before. Secondly, he chose the name Francis. This is a touch ironic, because he’s not Franciscan. And no pope in the over 800 years since Francis lived has chosen that name. Maybe because it’s hard to sit on the Vatican’s estimated over $10 billion and bear the name of the guy who chose poverty. But it’s a promising choice. It’s a second sign of the possibility of reform. He may mean to signal that he’s going in with the intention of cleaning up some long-standing messes, and maybe particularly the church’s ambiguous relationship with Jesus’ awfully clear teachings about money. And if the RCC has a chance of impacting the next generation, it will be through those who value truth and evangelism more than money. 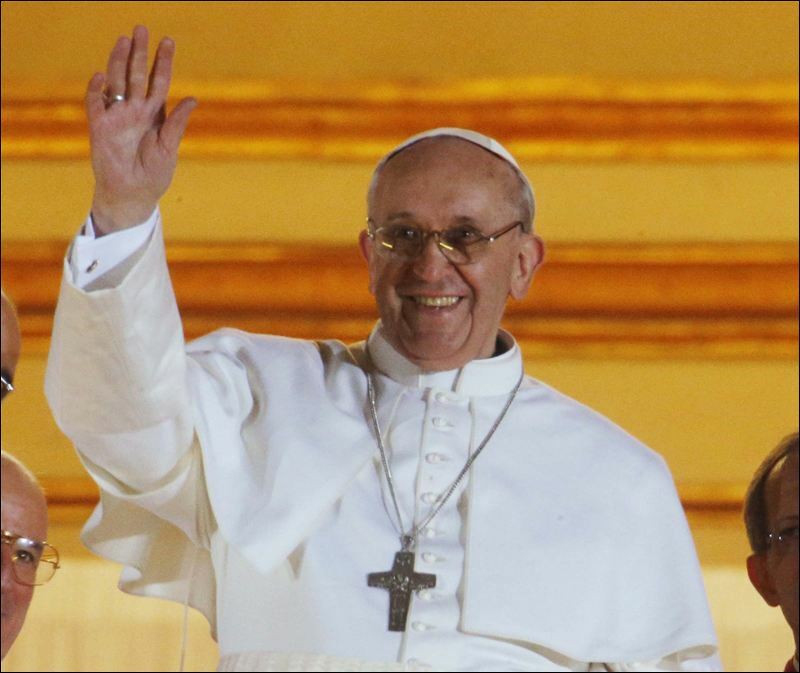 Like you, I have high hopes that this pope will take the church in a new, more Biblical, direction. The world could certainly use it. I WILL PRAY FOR POPE FRANCIS, FOR HIS CHURCH AND FOR OURS…. THAT WE BOTH VALUE TRUTH AND EVANGELISM MORE THAN MONEY…AND BY OUR ACTIONS MORE THAN OUR WORDS!